When visiting Scotland if you just follow the guidebook you do you can end up where everyone else is. Kilmartin Glen is off the beaten track, part of the ‘undiscovered’ Scotland and away from the masses. The articles below explain and link to things to do in the area, however this is not an exhaustive list, during your stay at the Old Manse we can help you with our local knowledge to get the best out of your visit. Kilmartin Glen is the name given to the broad valley extending south from the village of Kilmartin itself found north of Lochgilphead and south of Oban. 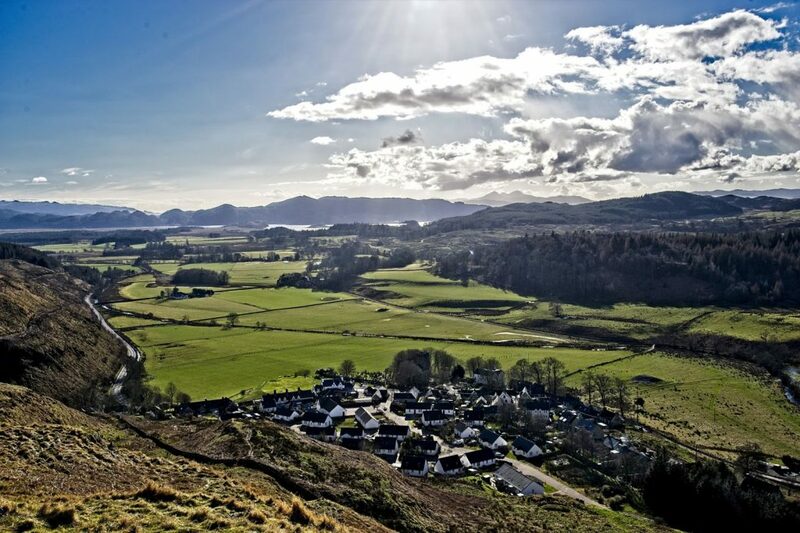 The Glen is famous for its rich archaeological legacy within six miles of Kilmartin there are over eight hundred ancient monuments of a wide variety of types. 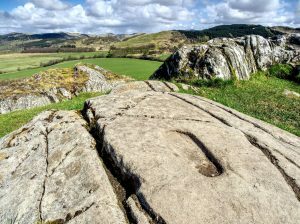 They include burial cairns, rock carvings, and standing stones, as well as the remains of the fortress of the Scots at Dunadd and more recent castles. 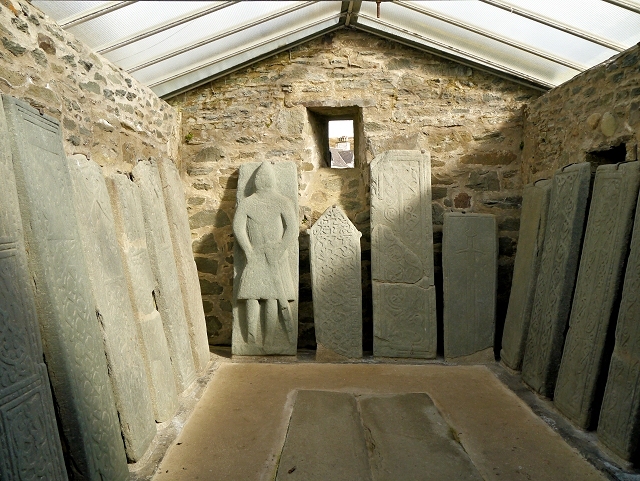 A good place to start your visit Kilmartin Museum, which is 800 meters from the Old Manse Bed & Breakfast. You can then visit the cairns, standing stones, and rock art. 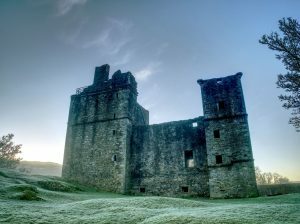 Carnasserie Castle gives every sign of having been built as a medieval keep that was later extended by the addition of a Renaissance mansion to its west. This was the impression its builder intended. The castle was actually built as a single structure in the years between 1565 and 1572 for Bishop John Carswell, and apart from some changes to the windows in the south wall made in 1681, it remained virtually unaltered throughout an active life of a little over a century. The result is a remarkable example of the architecture of the day. South of Kilmartin on the banks of the River Add is a 175 feet high rocky outcrop, this is Dunadd Fort. The main A816 lies just a few hundred yards to the east, but if passers-by notice anything, it is probably more the small collection of white buildings at the foot of the outcrop. 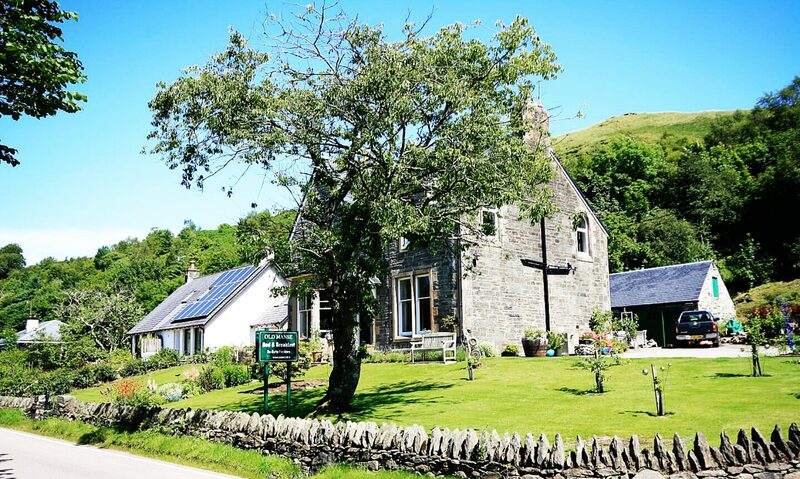 There are countless things to do and see in and around Kilmartin Glen. 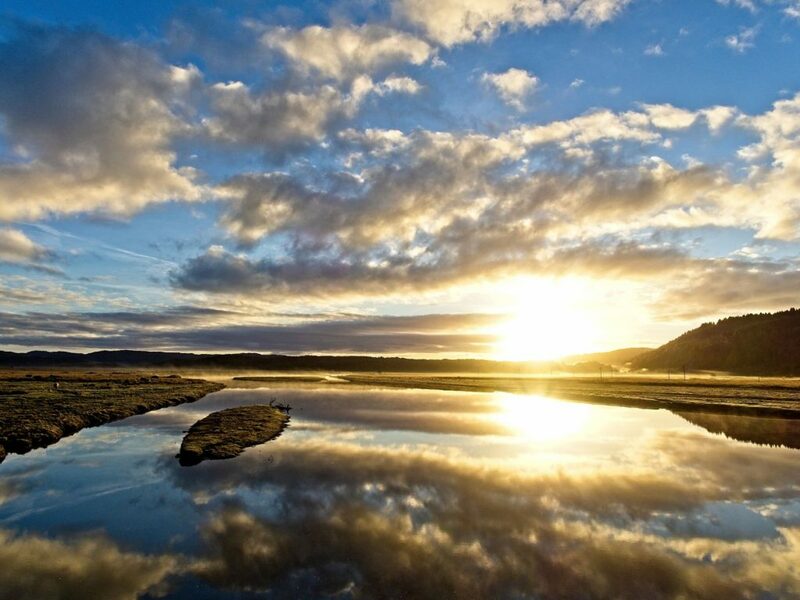 From outstanding national nature reserves, abundant wildlife and stunning coastal landscapes. 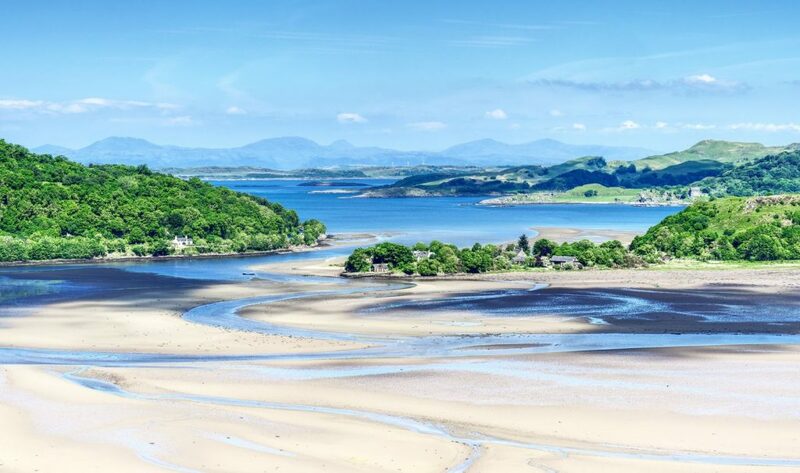 Knapdale and Crinan in the west, across to Inveraray and Loch Awe in the east, and with Kilmartin Glen in its midst the Heart of Argyll boasts some of the most beautiful scenery in Europe. The Crinan Canal starts at Ardrishaig on Loch Fyne, and ends nine miles away at Crinan on the Sound of Jura. It was designed to provide a quick link between the west coast and islands at one end and the Clyde Estuary at the other, and so avoid the long voyage around the south end of the Kintyre peninsula. 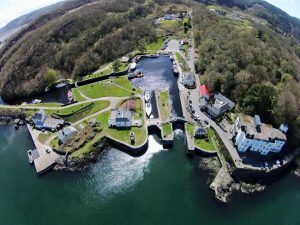 Built between 1794 and 1801, the canal is know as Britain’s most beautiful short cut In the nine miles from Ardrishaig to Crinan there are 15 locks and the canal reaches a height of 65 feet above sea level. You can cycle the canal, by hiring a bike or making it part of your route through Kilmartin Glen when following cycle route 78, a visit to Crinan Lock is a must. Corryvreckan is the worlds third largest whirlpool, formed by a very complex tidal system that includes the waters of the Clyde Estuary causing anomalies between Crinan and Lochgilphead, with these places being only six miles apart when the tide is high at one place it is low at the other . 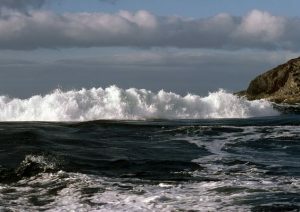 As the flood proceeds up the Sound of Jura it is squeezed by the narrowing of the Sound and this increases the flow to a point where it passes through the Gulf of Corryvreckan. Barnluasgan. Bird watching is popular in Mid Argyll, you can find oyster catchers on the front green in Lochgilphead, ospreys, curlew, oystercatcher, little grebe, red-breasted merganser and grey heron were all on show the last time we visited the bird hide on the Crinan Canal. The hide is looked after by Argyll Bird Club and overlooks the River Add estuary and Moine Mhor Nature reserve. The area in general, as well as the nature reserves, are home to a fine collection of mosses, liverworts ( bryophytes) and lichen. A number of factors come together to create this from clean scrubbed air off the Atlantic to the mild wet climate due to the influence of the gulf stream create temperate woodland areas where bryophytes and lichen thrive. Other places to visit in the area are the village of Tayvallich , Taynish Nature Reserve, or a visit up Loch Awe. 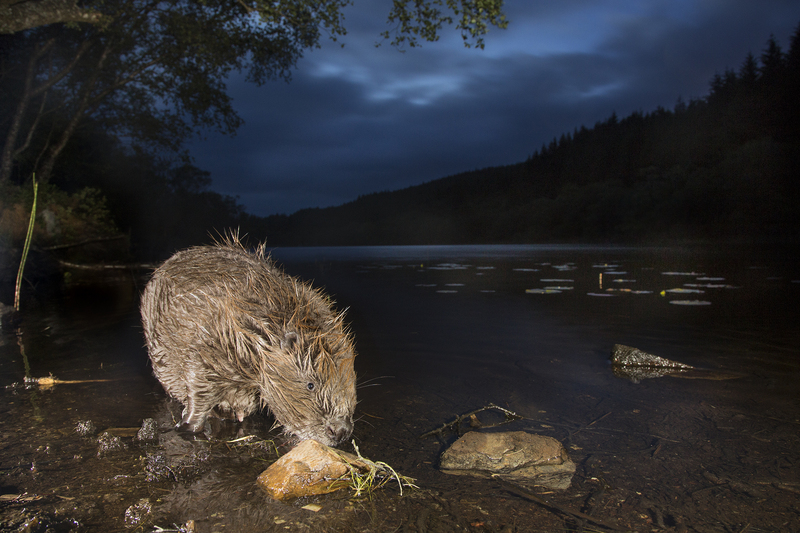 If you like photography a wildlife adventure with Craignish Cruises or Loch Visions. The passenger ferry to Jura is a great day out or a drive and ferry to the island of Gigha.